The John F. Ross CVI senior men’s quad takes a break between pieces Tuesday morning. This Could Be The Year You Learn to Row! 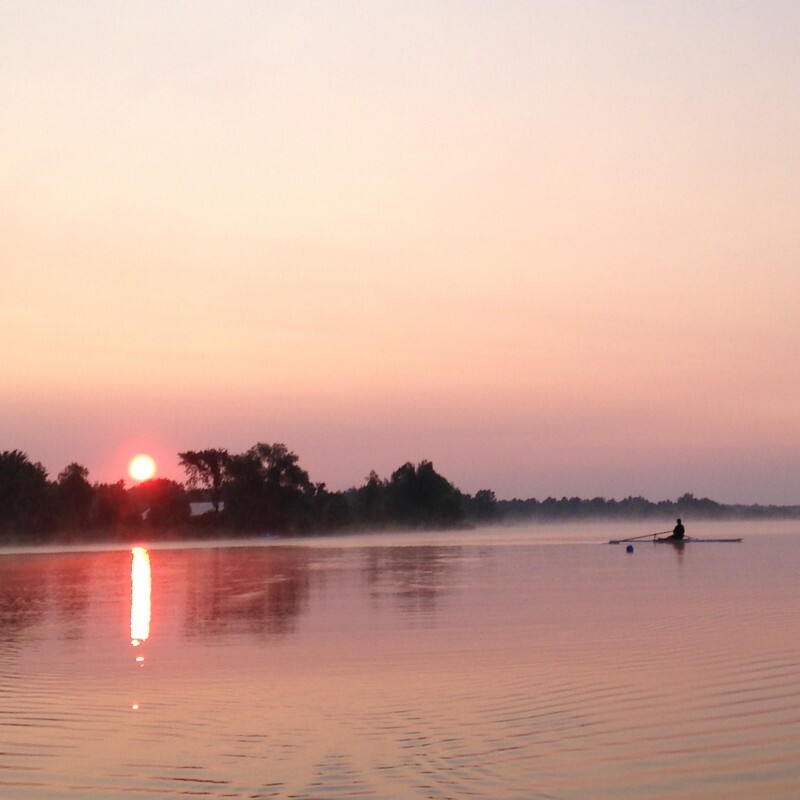 Have you ever thought you’d like to try the sport of rowing? Rowing is a whole body exercise that builds strength and aerobic capacity. It also provides great team experiences, opportunities for competition, and the pleasure of being on the water. Join us to experience this exciting and growing sport! 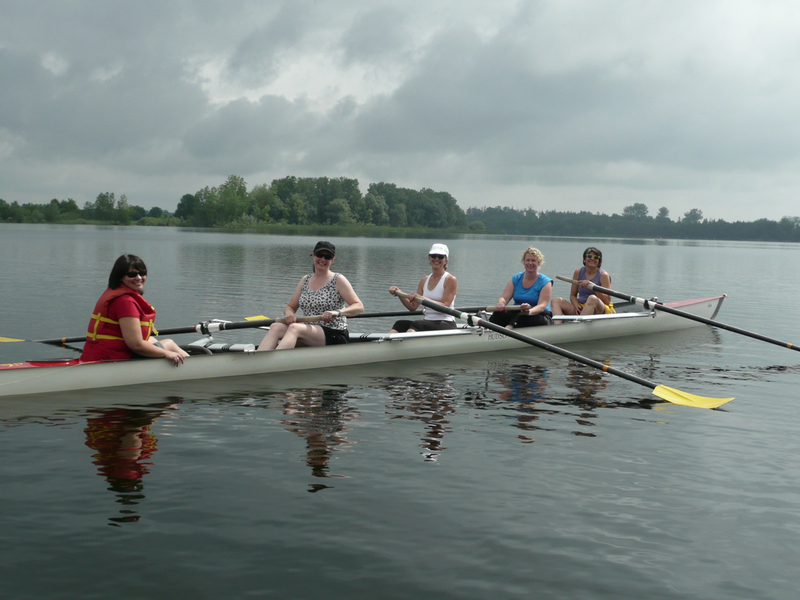 Guelph Rowing Club has opened registration for adult Learn To Row classes for summer 2016. Classes start at the beginning of June and we have lots of choices for times. You can find out more on the program page, or contact us by email if you have questions. 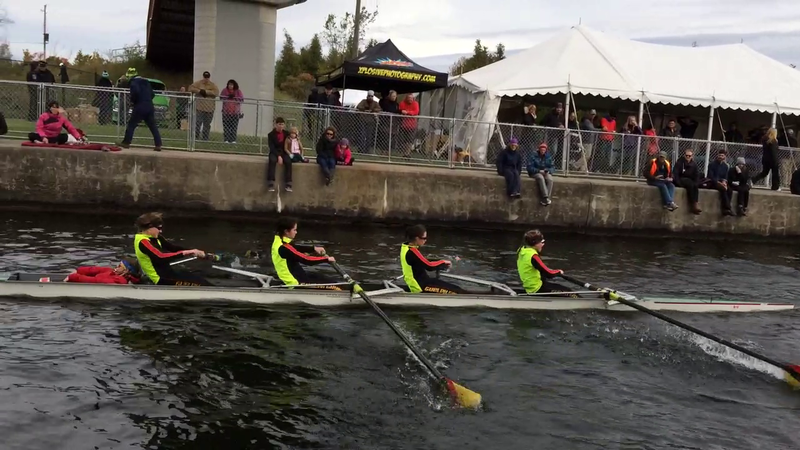 Congratulations to all the Guelph competitors at the Head of the Trent this year! The University Lightweight Women’s 4+ for Guelph blasts through the canal narrows. More info: On the program page. If you are interested in helping by coaching or coach boat driving, please contact Pat Weir. Guelph Rowing Club is very pleased to be hosting the Rowing Canada Aviron Men’s National Team, and Pan Am Games Medallists, at Guelph Lake. Here is your opportunity to meet the athletes and coaches as they prepare to qualify for the 2016 Olympic Games in Rio de Janeiro, Brazil. 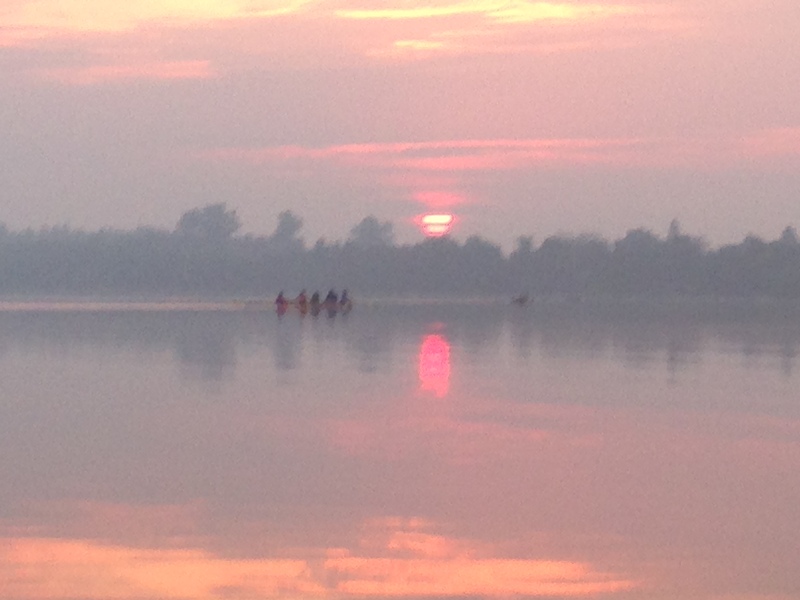 Guelph Rowing Club is holding an Open House on Saturday, August 8th, 2015 between 12:30 pm and 3pm, at the GRC Boathouse located in the Guelph Lake Conservation Area (access through the Main Entrance on Conservation Road). The National Team will be joining us for an hour after their morning practice (approx. 1:30–2:30pm) so you can meet and speak with these world class athletes and coaches. Take a tour of the boathouse, see rowing shells up close and try a rowing ergometer. If you are keen to experience rowing on the water sign-up for the “Try Rowing Program” to be held before the Open House between 9am and 12pm. See the “Programs” page for more information and registration. Tell your friends and family to advise the GRCA entrance gate staff they are going to see the National Team to waive the entrance fee. If you have always wanted to row, this is the course for you! 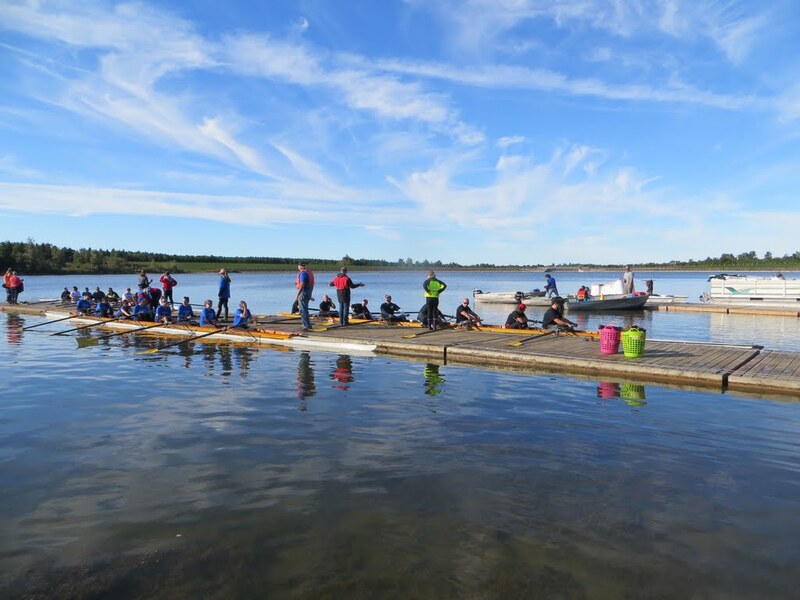 Participants will learn rowing safety, rowing technique, coxswains commands, and boat handling. Weeks of July 20 – July 31, 2015. Check out the webpage by clicking here. Rowing is a low-impact, whole-body aerobic exercise that gets you outside and on the water with the coolest people—other rowers! If you would like to try rowing, there is a Try Rowing session on May 31st from 9 am until noon. The cost is $70/person (including tax). Contact info@guelphrowing.ca or visit the Try Rowing page to get registration instructions. This is a lesson for adults so we ask that you be 16 years of age or older.